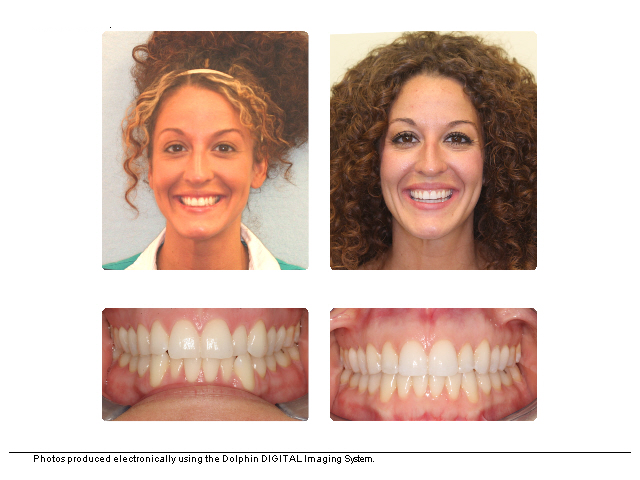 AL came to us because she had heard that we could treat orthodontic problems with Invisalign that others would not. Her treatment time was under 2 years. 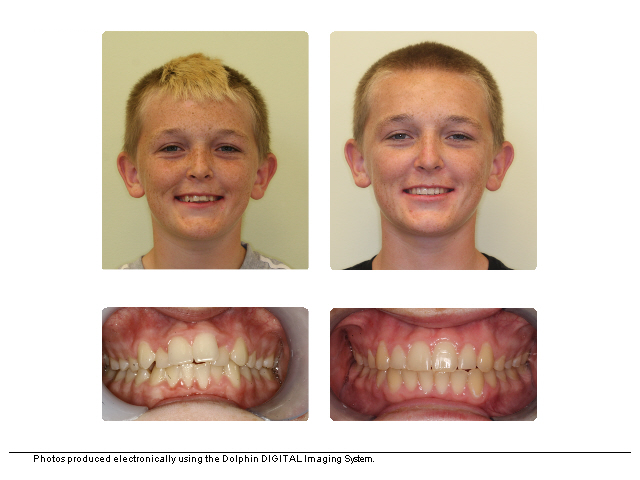 BS is an athlete whose lifestyle and desire for an esthetic appliance ruled out braces. His active treatment time, including correction of his deep bite was under 2 years. CL didn’t want her wedding pictures showing a smile with spaces. Her treatment lasted 15 months. PH was concerned about damage to his front teeth because of his cross bite as well as not liking his smile. He appreciated that we only needed to see him every 10 weeks since he drives over an hour to see us. His treatment time was 21 months. 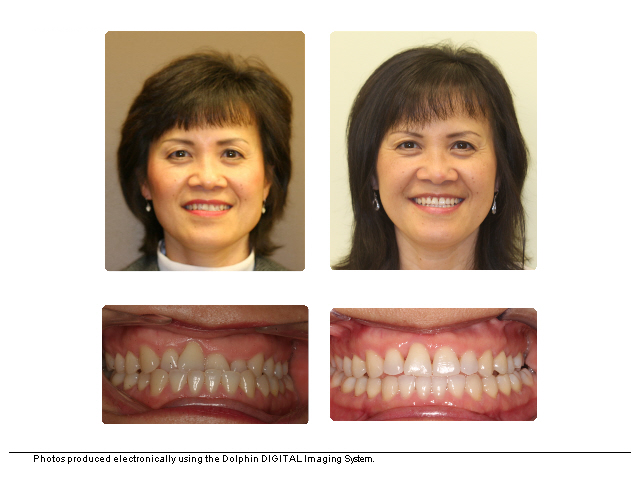 ME was a teenager who simply did not want braces if Invisalign could improve her smile. 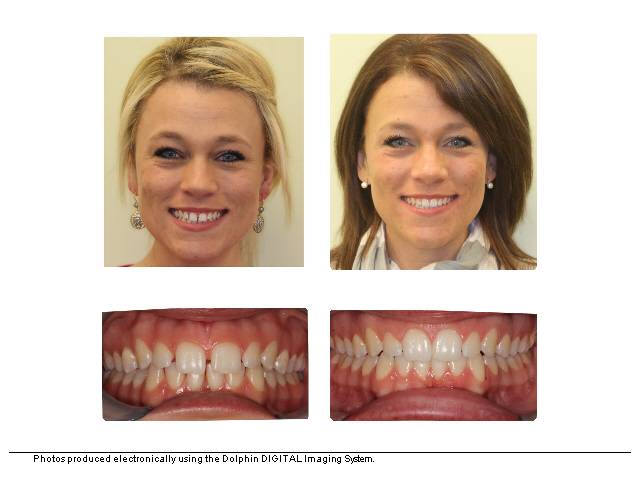 Correcting the bite as well as creating her new smile took 18 months. 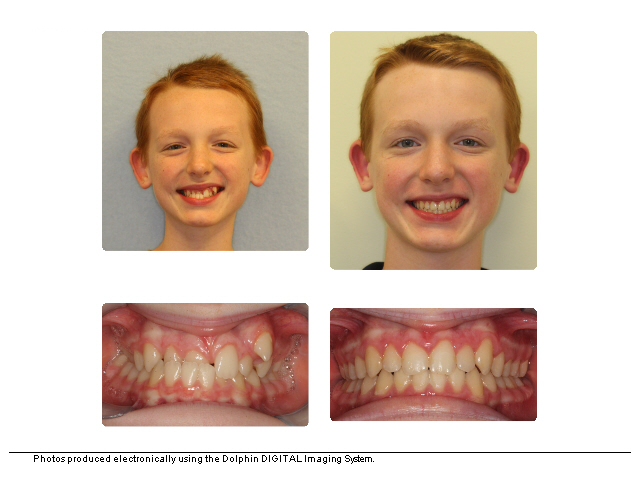 MD is one half of twins currently under treatment (both with Invisalign). The pictures shown are 18 months apart. We are still working on the details of his bite but the esthetic changes so far makes us all happy. JE is/was beautiful but wanted to take her smile the next level. 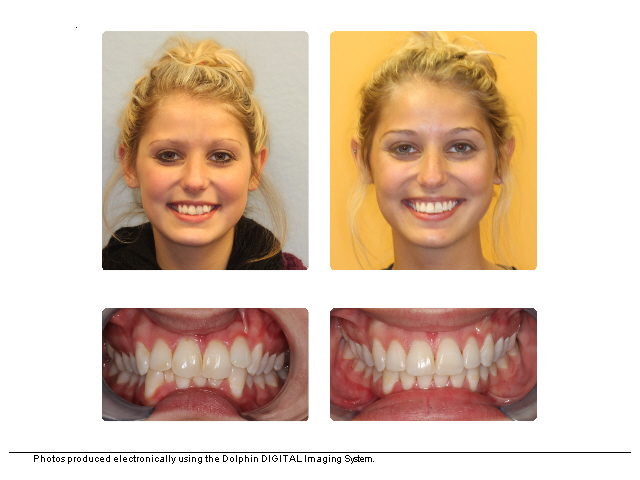 We focused on creating a wider smile and with her help were able to achieve this smile in 14 months. 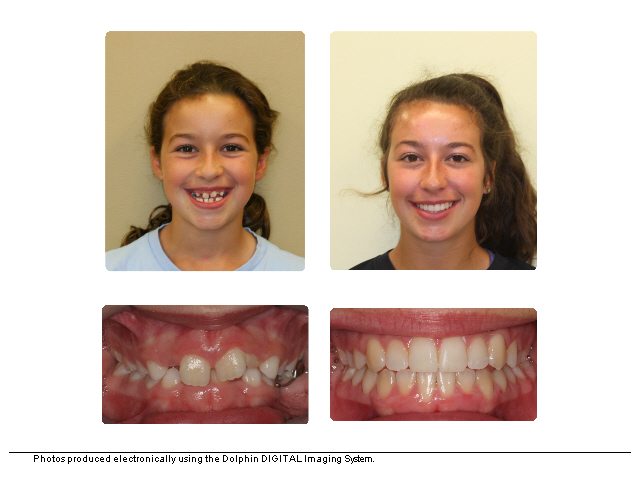 LB is the mother of two children that I treated with braces who was never interested in wearing braces even though she didn’t like her smile. 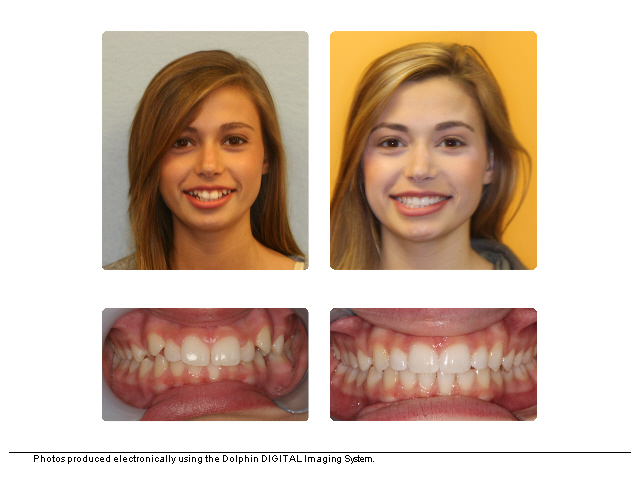 The pictures are her original and progress photos after 16 months of Invisalign. 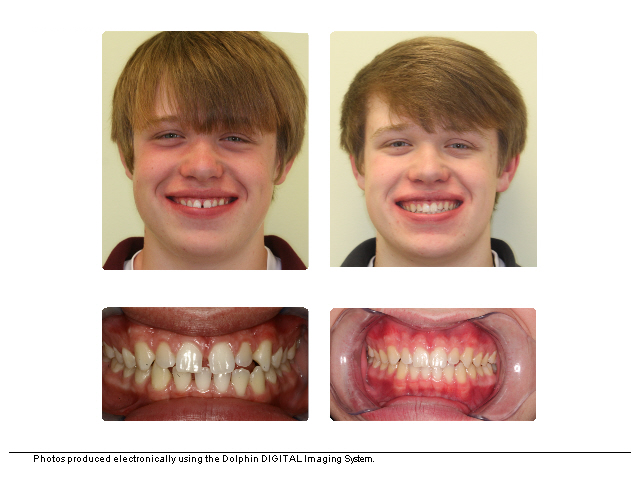 ZT was a typical teen orthodontic patient who wanted his spaces closed. We offered both braces and Invisalign. 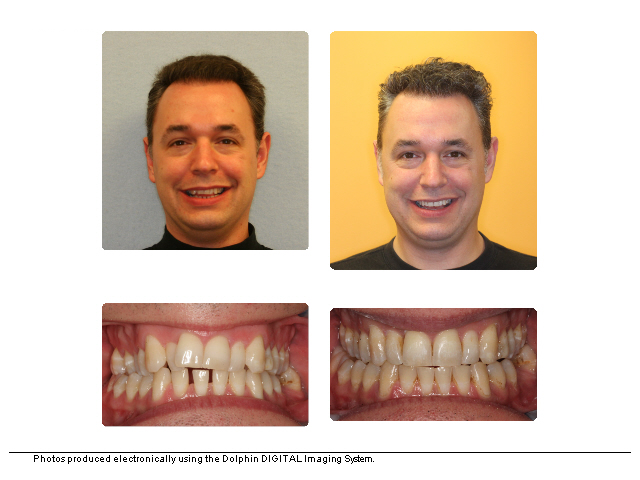 He chose Invisalign and 19 moths of active treatment later, he achieved the smile that he wanted. AS didn't like his smile, he felt that his upper cuspids were too prominent. 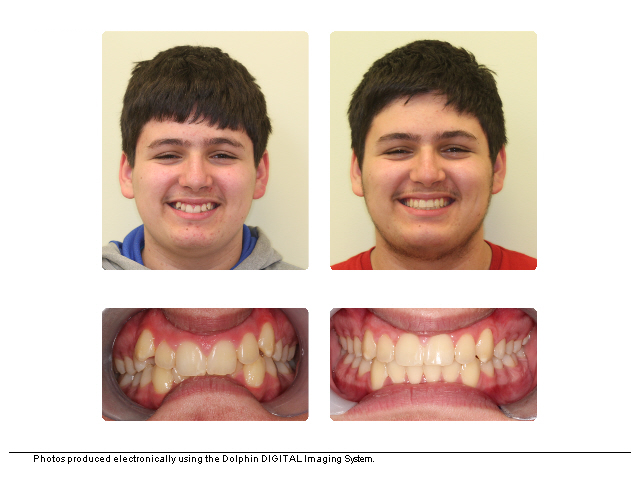 He was treated with traditional braces in 15 months. KP transferred into our office after first phase in another office. We delayed her 2nd phase for a year before starting back up. 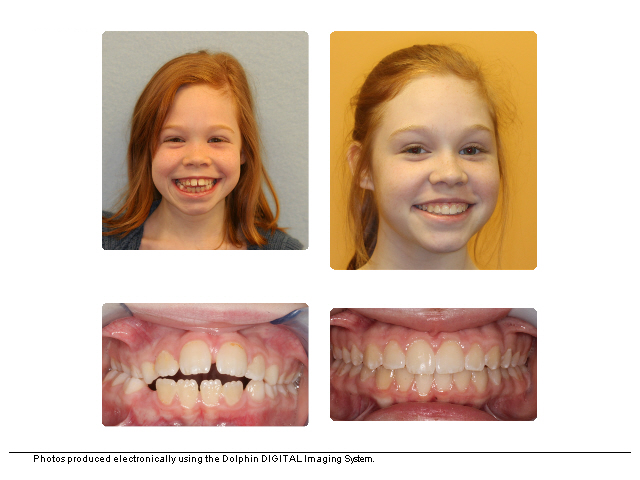 Her time in braces was 20 months. 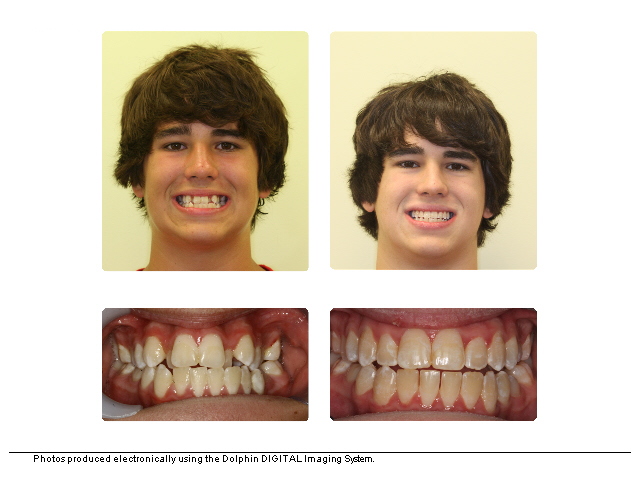 CG was with us for 24 months with expander and braces. Just wish that he hadn't outgrown the mohawk. EF received 2 Phase care over a few years to correct an open bite and a jaw asymmetry. And yes, her personality remained intact. LM presented with an anterior crossbite and jaw asymmetry. 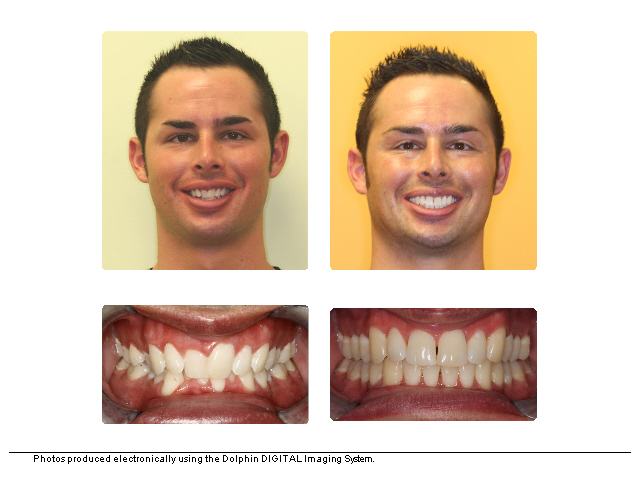 That's now a healthier and happier smile; confidence was never a problem.